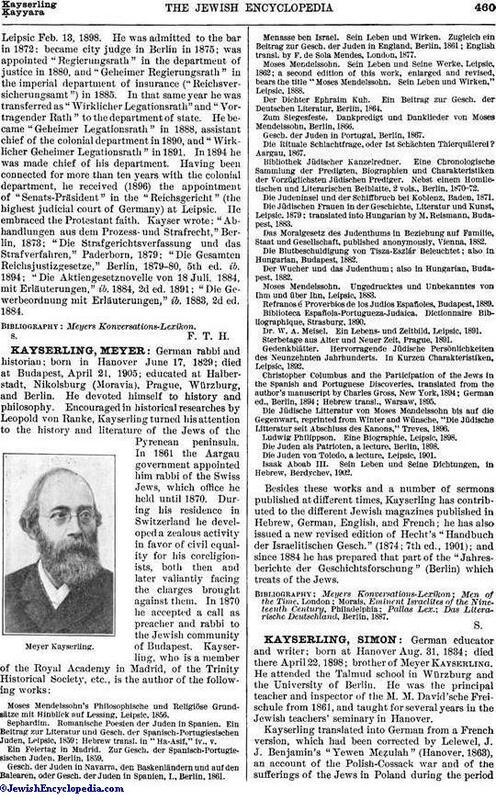 German educator and writer; born at Hanover Aug. 31, 1834; died there April 22, 1898; brother of Meyer Kayserling. He attended the Talmud school in Würzburg and the University of Berlin. He was the principal teacher and inspector of the M. M. David'sche Freischule from 1861, and taught for several years in the Jewish teachers' seminary in Hanover. 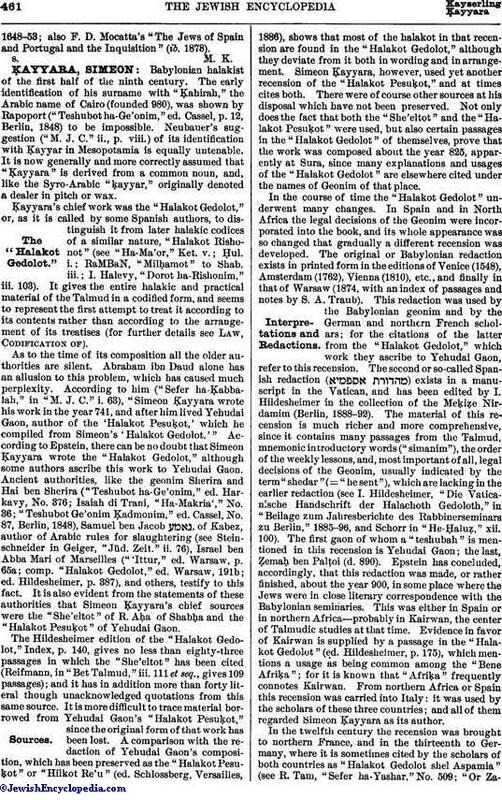 Kayserling translated into German from a French version, which had been corrected by Lelewel, J. J. Benjamin's "Yewen Meẓulah" (Hanover, 1863), an account of the Polish-Cossack war and of the sufferings of the Jews in Poland during the period1648-53; also F. D. Mocatta's "The Jews of Spain and Portugal and the Inquisition" (ib. 1878).